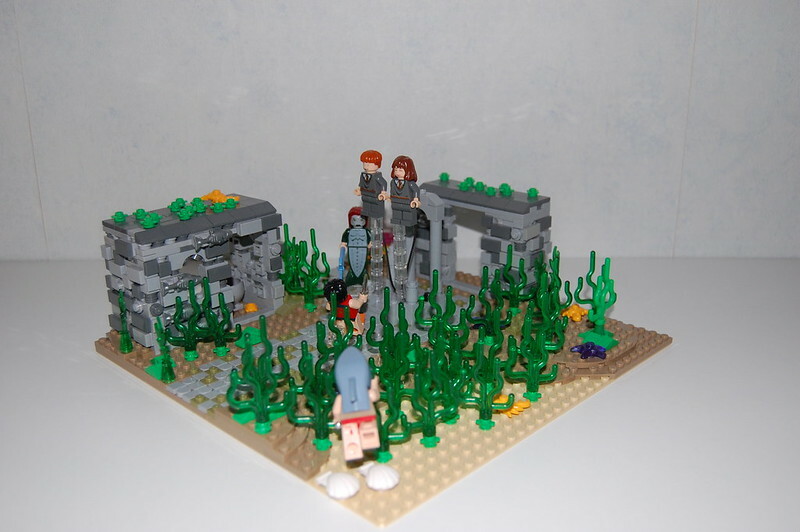 I have created a small landscape based on the book Harry Potter and the Goblet of fire. The movie and the set 4762 were a disappointment. The book describes the presence of a town with small cottages with gardens and the treasures of the champions are held on a small square. I have tried to recreate the scene from the book on a 32x32 plate. There are two small cottages and a square. Harry wants to rescue Ron and Hermione and confronts the merman. Victor Krum is on his way to rescue Hermione. Here is an overview of the landscape. Here is a link of the Flickr album. The photo's are also on my Brickshelf account. Absolutely wonderful moc, excellent job! !